Hiring a digital marketing agency isn’t for everyone. Working with an agency is a relationship, and just like when it comes to romance, it isn’t always the right time to get serious. 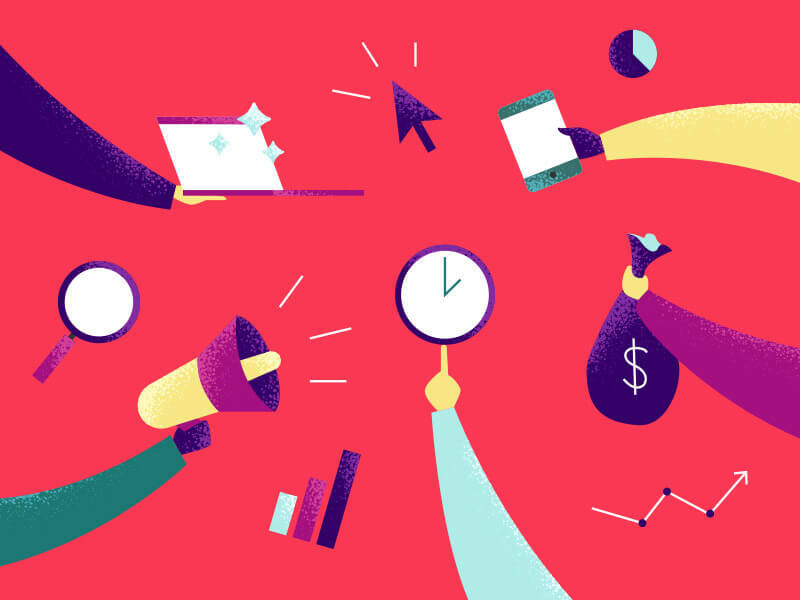 If you’re considering turning to experts to take on (or take over) your digital marketing needs, mull over these potential red flags within your organization. An agency will evaluate you on these same criteria. Identify ways that you need to grow before you’re ready to partner with a full team. You haven’t updated your website in years. A great deal of digital marketing involves getting people to your website. If your website is dated, full of errors, not optimized for mobile, or unclear, you run the risk of immediately alienating the traffic you worked so hard to get. Organizations that don’t commit to a strong digital presence typically aren’t a good fit for a digital marketing agency. Want to overcome that? Hire a digital marketing agency to overhaul your website and then drive traffic to it. When your website redesign team has marketing in mind from the start, you’ll end up with a more powerful site that generates leads and expresses compelling, coherent key messaging. Your people don’t get marketing. At Big Sea, we’re happy to educate our clients and their teams. But if too much time has to be spent justifying marketing, it starts to eat into the time that’s better spent… marketing. Trust is a huge part of any successful relationship. We consistently see better results and a stronger partnership when our clients — and their teams — trust our digital marketing team. Still determined? Get buy-in from your leadership and stakeholders before you engage with a marketing agency. They don’t have to be experts, but they should understand why you’re prioritizing digital marketing and inbound philosophies. You don’t have time to pay attention. Inbound marketing requires a genuine investment of time and energy. You have to care about your business, and above all, you have to care about your customers. A digital marketing agency taking an inbound approach will require your enthusiasm and expertise, especially at the beginning of the project. You have to be ready to dig into deep conversations, research, and explore insights into your customers and their needs. If you want to hire someone and never talk to them again until the results are in, a digital agency probably isn’t the right fit. There’s really no way around this one. During the discovery process, be honest about how involved (or not involved) you want to be and see where the conversation takes you. Digital marketing agencies typically don’t consist of tacticians who respond to marching orders. If you have strong ideas about what your digital marketing strategy should look like, you might be a better fit for an in-house team or freelancers who execute tactics under your leadership. At Big Sea, we take a strong consultative approach, not only designing strategies but helping our clients determine their business goals from the very start. If your heart is set on hiring an agency, commit to flexibility. Be honest from the beginning of your engagement that you want to contribute ideas, but open yourself to the idea of being told no. In many cases, a digital marketing team will be happy to implement and test your ideas. Content has become a weird, watered-down word, but it remains the core of successful digital marketing. People like to find cool, helpful stuff online. If you create cool, helpful stuff, they’ll come to you. Pretty simple in theory — but more difficult in execution. The very best digital marketing agency in the world can’t create content for you without at least a little bit of collaboration. Go into a relationship with an agency with an open mind about you and your colleagues being interviewed, answering surveys, and even writing basic content outlines. You’re the experts in what you do. Help your agency drag all that great knowledge out of your brains. To get past this hiccup, rethink what creating content means to you. You don’t have to be a confident writer to give your agency enough information to work with. You may be great on camera but a mess on the keyboard. Be honest about existing limitations and your agency will come to you with solutions. But if no one at your organization is willing to be a resource, you’re going to hit major roadblocks. You don’t have a budget for paid search, social, and display ads. We love inbound marketing. It drives the way we engage with our own clients, and how we engage with their customers. We use it to attract high quality leads every day. But we also recognize the value of pairing the principles of inbound with old-fashioned advertising. Paid search and social and display ads function as a distribution network for lead-generating content. They also help grow brand awareness through proven strategies like remarketing. If you’re not already playing in this space, you need to be. Your competitors are there. If you don’t have a budget for ads, a marketing agency likely isn’t the best fit. Worried about budget? Talk to a potential agency about it during the discovery phase. They’ll be able to make very high-level recommendations about your advertising spend so you can determine where your marketing budget is best placed. You think marketing is super expensive. Depending on who you talk to, businesses should invest between 2% and 20% of gross revenue into marketing. Those numbers vary depending on past performance, your industry, and your goals. If a marketing budget is a no-brainer, you’re off to a stronger start than if it feels like a huge strain and you’re stressed from day one. Until you’re comfortable investing in growing your business, working with a marketing agency isn’t the right fit. Ultimately, marketing is an investment in success. A good marketing agency isn’t going to let you blow your budget with zero return. We’ll be the first ones to tell a client that inbound isn’t the right fit if we don’t see quality leads generated and revenue increased within a reasonable amount of time.